Defender (This creature can't attack.) At end of combat, remove from the game all creatures blocked by Wall of Nets. 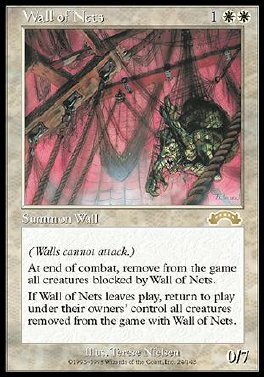 When Wall of Nets leaves play, return to play under their owners' control all creatures removed from the game with Wall of Nets.